Analyzing the absurd in Nigeria is like trying to crack open a palm nut with an egg: fascinating but futile — yet time and again one is brought back to the same place by the seeming indifference of our leaders towards the daily struggles of the average Nigerian. Where will I start analyzing the fact that the so-called ‘Giant of Africa’ is still grappling with a minimum wage of $50 whereas poorer neighbouring countries like Cameroon and Chad have minimum wages of $75 and $115 respectively? Going by the International Labour Organisation (ILO)’s definition, a minimum wage is “the lowest wage that an employer is allowed to pay the employee, the price floor below which workers may not be willing to sell their labour”. In arriving at the figure consideration must be given to the prevailing inflationary trend, cost of living index and the employer’s capacity to pay the amount. It can, therefore, be deduced from the foregoing that any wage which falls below the minimum wage cannot guarantee a decent living for a worker or an employee. In other words, any worker that does not receive up to such stipulated amount after rendering services is more or less a slave. Last Sunday my Goddaughter popped in to say hi, she informed me that she has started work in a shop where she will be earning over €200 monthly for putting in a total of just 32 hours on Saturdays and Sundays. Add that to the pecks of child benefits accruing to her from the social welfare office and it will sum up to about €400. That is five times more than the N30,000 minimum wage that the government has agreed with the Nigerian Labour Congress. And she’s only 16! I am not one to compare Nigeria with ‘saner climes’ because even though I live in and feel both worlds I have always maintained that there is no magic wand to Uhuru in a developing nation which has been pauperized by decades of misrule from monumentally corrupt and visionless leaders. I am also an optimist, sincere optimism requires an appreciation of the rot to have realistic expectations of what is attainable but I just couldn’t help imagining how a €400 monthly salary will transform the life of an average Nigerian worker. Nevertheless, for the purpose of this piece, I will limit the juxtaposition to Africa. In 2016 the World Bank through its World Developers Indicators (WDI) released data which revealed that among a sample of 19 African countries, Nigeria was a runner-up from the bottom position (beating only Malawi) in the minimum wage rate addition but ranked 11th in the inflation rate (14.32%). Two years on the National Bureau of Statistics (NBS) put the inflation rate in the second quarter of 2018 at 11.23% with the exchange rate of Naira at approximately N362 in the parallel market. However, despite the gradual decline in the inflation rate witnessed since the last quarter of 2017, as an import-dependent nation, the over 100% increase in exchange rate actuated an increase in the Consumer Price Index (CPI), which is the weighted average of prices of consumer goods and services resulting in a huge reduction of the naira’s purchasing power. What all these jargon mean in layman’s terms is that the current value of N30,000 is less than what it was 3 years ago. 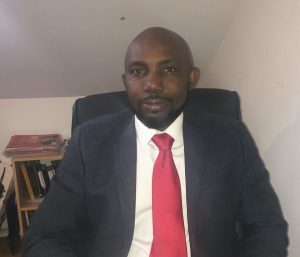 As a matter of fact, the N30,000 minimum wage is more or less meaningless, it was long overdue even in 2015 and that prompted many economists to propose an amount ranging between N50,000 to N65,000 considering the prevailing indices or parameters. Paradoxically, one can equally understand those who objectively queried the verisimilitude of implementing the above figure or even the agreed N30,000. So how realistic and achievable is it in the face of the country’s current economic reality for workers to be paid this amount as at when due? Salaries still constitute a major part of the annual recurrent expenditure that gulps over 70% of both state and federal budgets. Moreover, 33 out of 36 states are currently owing workers arrears of salaries for up to 11 months in some cases going by what the NLC says. If state governors cannot pay N18,000 how can they scratch N30,000 let alone N50,000? Mind you this is in spite of the frequent bail-out funds doled out by the federal government. 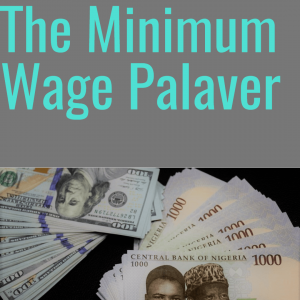 Certainly, a majority of the states cannot pay the new minimum wage as it is no secret that we have a serious problem of economic viability among many states. Are we then set for another era of random overseas trips by governors seeking foreign loans to cushion this pressure? And if the motivation is political for the federal government which retains a large chunk (52%) of the government revenue and recently weeded out over 50,000 ghost workers from its payroll, then how can it avoid a repeat of the Jonathan era mistake when the government which increased minimum wage could no longer pay salaries as oil prices dipped? Any government that borrows to pay salaries is tightening the noose and mortgaging the future of generations unborn. The situation is just a mess. There are more questions than answers. Ours is a country with limited social welfare and infrastructure, at N18,000 monthly the average Nigerian worker has been catering for feeding, clothing, transport, and shelter with only N600 daily. Isn’t that a miracle in a place where rent is paid annually and two years in advance for a new tenant? I think it is. Some have argued that service delivery is nothing short of pathetic and that most of our civil servants are idle servants who do not put in commensurate work to their wages. Yes, I agree. Our public institutions are notorious for being unkempt and often under-equipped working environment, add that to the nonchalance of civil servants and you ‘ve got your work cut out for you. If you have a business with a government ministry or public institution in Nigeria on any given day then you are better advised to devote the entire day to achieving that task. The private sector is not particularly great either. Any professional in the construction industry will certainly know the difference in the quality component between what our artisans and those from smaller neighbouring countries like Togo or Ghana deliver. Simply put, ours is a nation with plenty of activity but little productivity. However, it will be uncharitable to dismiss the importance of services rendered by workers. Whatsmore, once services are rendered it is only equitable that the wages are paid at the end of a given period. We can only strive to improve the workplace and quality of service delivery because those are the negotiable factors and not the payment of agreed wages. Again, when you consider that the president reportedly has a budget of N70m for haircut, senators receive N13.5m pocket money in addition to monthly salaries and governors are free to take N500m as monthly security vote then you have to sympathise with civil servants because a huge chunk of the work of these elected officials are done by them. It is a case of “monkey de work baboon de chop” in the common Nigerian parlance. It, therefore, is our collective duty to sustain the pressure on government at all levels to focus on the developmental projects like mass transit systems, low-income housing and other social infrastructures that erode a large percentage of the workers’ salaries. Legislators must be put on notice especially on the state level, to thoroughly scrutinise frivolous loan requests from the executive and decline accent if found wanting. Labour should also work together with the government to explore ways of improving service delivery via training, skill acquisition, capacity building, and responsive feedback mechanism. With the regular technological innovations these days, quality service is getting easier to deliver. It is also more satisfying for the giver and receiver. So it is preposterous that in this digital era when we have better and cheaper tools, one can still find public offices without a single desktop computer. By and large, I would rather the government, civil servants and indeed Nigerians keep the champagne on ice because there is still much to do before the average worker can heave a sigh of relief and kick off her shoes. Be that as it may, I wouldn’t term the perceived victory by Organised Labour pyrrhic as I have read in some commentaries. Even if I won’t celebrate I have to commend every group that worked towards reaching a resolution because the alternative would have been worse for everybody. It is a step albeit a small one but without taking a step no matter how little you will not get to the destination. 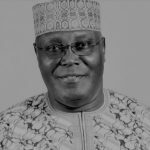 Previous article Igbos should examine Atiku’s restructuring song. 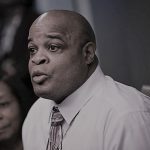 Next article Released after 39 years in jail for a crime he didn’t commit.